Heavy, groove-oriented rock with Metallica-esque vocals, drumming from Led Zeppelin to the Meters and Southern funk, tightly wrapped with a strong bass pocket. Layers and layers of supreme guitar orchestration, lush undercurrents of Deep Purple-colored organ, passionate gypsy violin, R&B horns including screaming sax, and gorgeous gospel-esque background vocals. Production is built to lift you up with emotion-drenched crescendos all played to the max from the heart. Passionate, smokin’ and fired up. 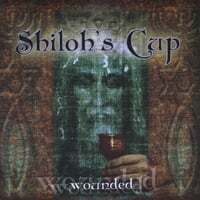 Shiloh’s Cup is Ted Green, Wayne Peet and Elias Toscano, with inspired contributions by Ken Lasaine, Scarlet Rivera, Phylliss Bailey Brooks, Roxanne Mayweather, Michael Acosta and Ellington Peet. Ted Green is one of those guys who was born to be a lead singer and front man. Numerous bands and gigs have been graced by his synth, bass, guitar and unique vocals. Ted is a true rocker, having played progressive and power rock devotedly for years in the US and Europe. He even formed the first official U.S. Air Force rock band while serving in the military. The man eats and sleeps rock. Ted is a powerhouse. His credits include the power trios Lebanon out of Texas and The Cause in LA. In ’92, he played “Superfest” with Christian rock group Stratia. Ted is a long time staple in the Christian Music scene. Wayne Peet is a pianist, organist, keyboardist and composer whose unique style has drawn international acclaim. He is active as an arranger, accompanist and musical director for a number of Los Angeles singers in styles from blues to opera. Wayne composes original music that lands in a funk/rock/jazz zone. He is a true musical visionary that took this music where it needed to go. That’s why he was picked to be the producer and musical director for Shiloh’s Cup. Sometimes Wayne even plays trombone once he figures out where we hid it. Wayne’s numerous credits include acclaimed solo recordings and innovative jazz performances with Vinny Golia, Nels Cline, and Bill Barrett. He has also composed music for film scores such as “Another America” (documentary), “Bull Durham” and “Blaze”. “When Wayne Peet gigs … you can expect both spontaneity and ferocious, tough playing defined by cutting rhythms and intricate harmonies. Elias Toscano is a virtuoso drummer and percussionist, as well as a jazz historian. Besides drumming, his talents extend to production, composition, arranging and engineering in numerous studio sessions in San Francisco, Los Angeles and New York. He is a prolific lyricist and diverse composer, overflowing with imaginative ideas. Elias is the executive producer for Shiloh’s Cup and it was his vision initially, ultimately collaborating with Green and Peet. He is either very, very creative or very, very crazy. Elias' credits include performances with legendary piano giant Horace Tapscott, organ genius Ed Kelly, Steve Grossman (Miles Davis Quintet), and Alex Dore (Sly Stone, Robin Trower). He was the favorite drummer of the late, great bassist, Art Davis (John Coltrane). Elias was also a staff percussionist with CBS records. Ken Lasaine has soul. He is also a master of funk, blues, rock and jazz guitar. Ken performs with his own trio and does a lot of studio work around Los Angeles. His professional credits, from performance and recording to film and TV, illustrate his virtuosity. Ken is a lyrical acoustic player and can be a real shredder. He’s also a total professional and really good guy; Shiloh’s Cup can’t believe their good fortune in getting him on the CD. Ken’s extensive credits include Bo Diddley, No Doubt, and Gap Band, among many others. Scarlet Rivera is one of the world’s most prominent and eclectic violinists. She is known for the artistry of her contributions to the recordings and performances of some of the most influential musicians of our time. Scarlet is also a composer and performer in her own right and her solo works show her to be one of today’s most passionate and intelligent violinists. Scarlet’s rich, haunting tones add a lush, vivid element that completes the atmosphere of “Wounded”. Credits include Bob Dylan, Indigo Girls, Tracy Chapman and a catalog of original instrumental music. Phylliss Bailey Brooks is an accomplished singer, actress, vocal director/arranger, and performance coach who has toured the world from Bangkok to Paris. She has numerous stage and television credits, whether center stage or behind the scenes. Phylliss also serves as youth minister of music at her church, and directs the Los Angeles-based GTF children's choir. Phylliss says that her biggest honor of all is being a child of The King. Shiloh’s Cup is privileged to add Phylliss’ virtuoso talent to their project. Credits include TV hits such as “In Living Color” and “MADtv”. Phylliss was also an original cast member of the Broadway hit "Jelly's Last Jam”. Roxanne Mayweather began her career as an actress/singer working extensively in the Los Angeles theatre scene developing new original musicals. She has since worked on many voice-overs for television and films and has numerous on-camera credits as well. Roxanne has had the privilege to record her distinctive vocals on demos for many new artists, as well as recording an album with legendary jazz singer Anita O’Day. Roxanne’s unique talent is evident by all that her stellar vocal chops add to “Wounded”. Film and television credits include “House Party”, “Lackawanna Blues” and “Cheers”. Roxanne was also a featured singing “Keenette” on the “Kenan Ivory Wayans Show”. Michael Acosta is as good as they get – a highly in-demand featured saxophonist and arranger. He is known for his ability to deliver performances that nail the tunes: power rock, R&B, funk, blues, jazz - whatever is called for, on demand. His emotion-drenched solos can be counted on to raise the roof. When Shiloh needed a tenor player to deliver some special stylings, Mike was the only guy we wanted. Michael’s extensive credits include recordings with Brian Setzer, Tierra, and Keiko Matsui, among many others. At the age of 12, Ellington Peet already has a number of recording and performance credits as a drummer and percussionist. He is the son of Wayne Peet, having inherited his father’s prodigious talent. We are happy to have Ellington contribute to Shiloh’s Cup and expect great things from him. Ellington's credits include drums and percussion with The Palms Middle School Concert & Jazz Band and regular performances at his church service. I’m dry as desert sand; I’ve become the dust of death. I bore your sins, you hungry wolves, despite your disbelief. Went to the grave, where you should have been. These are your bloody nails through my hands and through my feet. Your soldiers took me and hung me on a tree. They gambled for my robe, and they spit on me. I died naked so that you could be free. I bore your sins you hungry wolves, despite your disbelief. In the end it was Shiloh that drank that bloody cup. His sign rising above on every church steeple. Shiloh was hung on a tree where he died only to live. That bloody cup he drained it without fear. Paid your way to heaven with His dying and His tears.